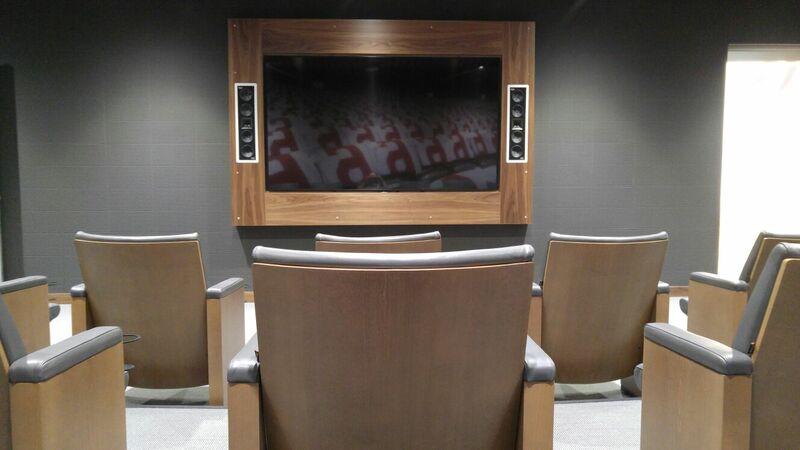 The NBA Playoffs are well underway, making it the perfect time to showcase this remarkable project completed for the Atlantic Division Champions; Toronto Raptors. The BioSteel Centre is a State-of-the-Art basketball practice facility designed to make the Raptors one of the NBA’s elite. 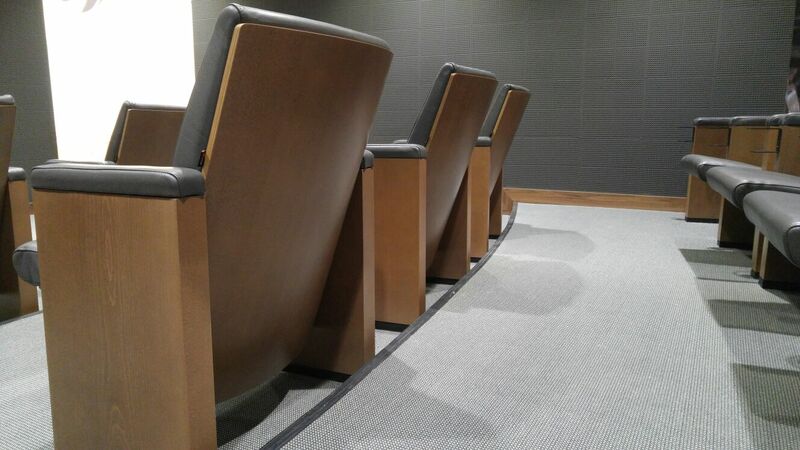 The project included the incredible Guernsey Architectural Firm, and the expertise of Borgo Contract Seating. The Tempo is the most elegant fixed seating solution on the market; a timeless design, upholstered in fine Italian leather makes these chairs fit for a king. 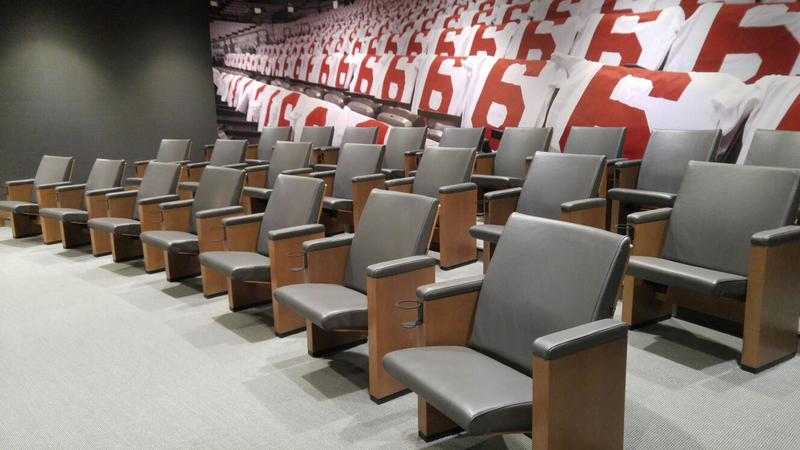 The wood details on the Tempo are custom stained to match the accent wood pieces found throughout the facility, tying the space together. 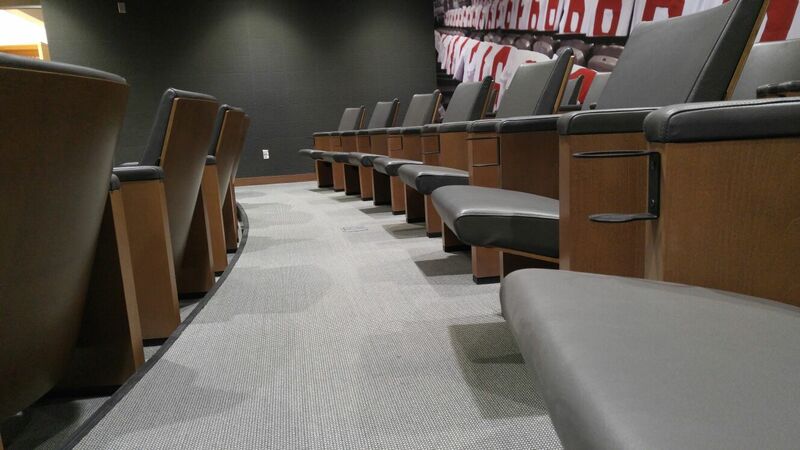 Professional athletes typically do not fall within the 5th and 95th percentile when dealing with furniture. Chairs can often be too narrow, and seat heights too low. 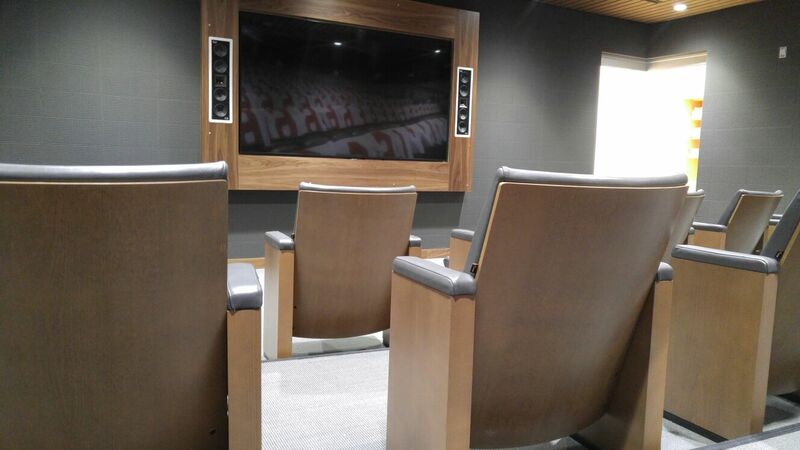 To ensure these seats fit just right, these seats were custom designed specifically for the needs of the Toronto Raptors, allowing for the likes of the 7 Footer, Jonas Valanciunas, to be able to watch endless hours of tape in unsurpassed comfort. Of course, cupholders were added for a convenient place to keep their BioSteel sports drink.